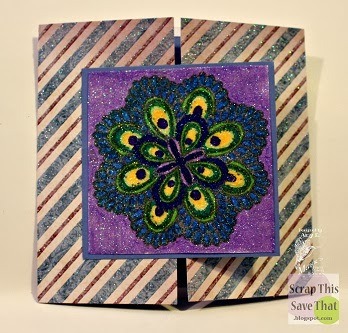 Today's card features the Medallion and Be A Showoff stamp sets, along with cardstock from DCWV and Glitter Ritz glitter from Elizabeth Crafts. I have a tutorial on how to use Glitter Ritz that you can find right HERE. 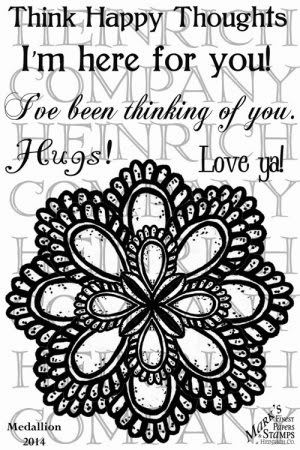 It was all stamped with Tuxedo Black Memento ink and colored with Bic Mark-Its. Thank you for your comment on Amalias Hearts *u* It made my day! This card you have made is fabulous. 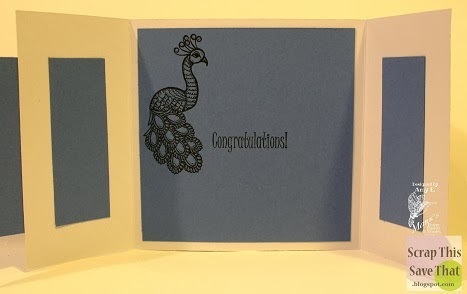 I love the glittery effect and the fold - you even finished the inside - always good to see. A beautiful card, I love how you incorporated the yellow with the purple. Love the glitter.